When travelling on a long haul flight think about your needs, remember to pack items to help with sleeping on the plane. You want to travel in comfort and feel rested before your holiday or business trip begins. If you are taking your child/children on a long haul flight, as well as packing items for entertainment, remember to pack items to help with sleeping. "How to get children/toddler to sleep on long haul flights" is a question thousands of people like you have been asking. 'Sleep for Children on long haul flights' CD/Downloads are the answer. Your child/toddler will be soothed to sleep by the gentle music and story telling. Therapist Anna Rowe of Natural Harmony Productions formally trading as The Shhhhh Company co-wrote and produced these Sleep and Relaxation CD's with Health Professional Val Clews. In addition Anna consulted with travel professionals's to provide you with the best evidence based products to meet your needs when you need them most. Sleep for children on long haul flights: Twinkle: Enchanting story to soothe your child to sleep. Recommended by Practical Parenting & Pregnancy Magazine as one of the top 5 best bedtime buys for sleep. When children/toddlers have no sleep it can affect their behaviour and make them very irritable and fidgety. For parents and fellow passengers this can be quite an ordeal and cause much anxiety before and during a flight. Useful tips for travelling with your children/toddler on a long haul flight. In the departure lounge be sure to purchase your child/toddlers favourite snacks and plenty of unsweetened drinks to avoid dehydration. For those little accidents remember wet wipes and tissues. Having a variety of books, colouring pencils, consoles and toys will alleviate boredom. You might want to surprise them by taking a gift to reward their good behaviour. Useful tips for travelling on a long haul flight. Wear layers of comfortable loose clothing and take a large pair of woollen socks to keep your feet warm while you sleep. Think about variety to alleviate boredom, take a good book to read, sudoku, logic puzzels, laptop and ipdod etc. Remember to drink plenty of non fizzy water and juice to keep you hydrated and try to avoid caffiene and alcohol as this will dehydrate you. The air pressure in the cabin may dry your eyes out, so If you wear contact lenses be sure to take them out before sleeping or remove them early on in the flight. If you are an anxious traveller and are looking for a solution to relax you prior and during a flight look no further. If you are feeling anxious take some deep abdominal breaths. Three is the magic number to bring in calmness. If you are creating pictures in your mind make sure you create good pictures. See yourself happy and clam and enjoying the travel experience. Make sure you wear loose comfortable clothing so you can relax easily. Sleep for children on long haul flights: Winkie: Enchanting story to soothe your child to sleep. When Children and toddlers have no sleep it can affect their behaviour and make them very irritable and fidgety. For parents and fellow passengers this can be quite an ordeal and cause much anxiety before and during the flight. As well as taking items for entertaining your child/toddler, it is also a good idea to take items to help them relax and sleep, like a teddy/snuggle blanket and headphones so they can drift off to sleep while listening to one of our enchanting stories. Adult sleep CD: Essential guide to a deep relaxing sleep. Can’t sleep, feeling restless, overactive mind? You’re not alone! Many people experience trouble sleeping and need help to sleep. Lack of sleep can affect your physical health and your emotional well being. The long term affect of trouble sleeping can begin to influence every aspect of your daily life. Lots of people say ‘I can’t sleep’. It is known that millions of people suffer with sleep deprivation. We can help you sleep. Below are some useful tips on how to get to sleep and sleep peacefully. Eat your main meal at lunchtime and finish your day with a lighter supper at least 2 hours before bedtime. Avoid Caffeine at bedtime which acts as a stimulant. Your room should be quiet, dark and at a comfortable room temperature with some ventilation. If your mind is busy you may find it useful to keep a notepad and pen beside your bed. Use this to write down anything important for you to tend to in the morning. If you want a good night’s sleep buy the Sleep Sleep Sleep now....adult CD/Download. This powerful CD has been carefully crafted with a beautiful blend of music and soft hypnotic voice to guide you. It induces a deep state of mental and physical relaxation allowing you to drift off into a peaceful and natural sleep. Use either track when you are having trouble falling asleep or if you wake up in the middle of the night and cannot get back to sleep. Childrens sleep CD: Enchanting bedtimes sotries to soothe children to sleep. Children's sleep problems are very common. At some stage about 40% of children suffer with a lack of sleep. This can cause concern for a parent. ‘My child wont sleep’ is a common phrase used by many parents. We have worked with a lot of families who have children who can’t sleep. When children and toddlers have no sleep it can affect their behaviour, concentration and diet. We can help your child to go to sleep. Try following these useful tips on helping your child sleep and your toddler sleep. Create a relaxing bedtime routine for your child/toddler. Some quiet time will help your child wind down before bed. Try a routine of a warm bath followed by a story which is preferably listened to when they are in their bed. Say ‘goodnight’ to your child, reassuring them that you are not far away. If you want your child/toddler to settle to sleep buy the Sleep Sleep Sleep now....child CD/Download. This compelling CD consists of two beautifully crafted stories which rhythmically unfold on a background of gentle ambient music lulling toddlers and children to sleep through a process of storytelling and relaxation. Each story is based on familiar nursery rhymes: Twinkle twinkle little star and Wee Willie Winkie these stories have proven to be successful with children from 3 to 12 years old. You will be amazed at how easily your child falls asleep! Baby sleep CD: Soothing sounds and music to lull baby to sleep. 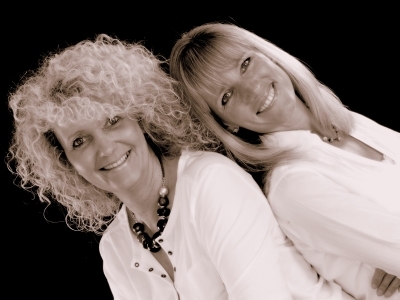 Recommended by Families South East Magazine for what's New page's. My baby won’t sleep. There is no set pattern in the early days for baby sleep; they are governed by their need for food and comfort. This can be exhausting for new parents but there are things you can do to help start your baby routine. Baby sleep routine is important in creating cues to help them go off to sleep. Baby not sleeping is common after a night time feed. This is when the baby sleep routine helps to settle your baby back to sleep. Try following these useful tips on helping you to establish your baby sleep routine. Make sure baby is fed, clean and dry. When you can, sleep when your baby sleeps. Keeping lights and voices low at night will help your baby to make a distinction between night and day. Familiar cues will help trigger the babies calming reflex helping them to fall asleep more easily. Try soothing your baby by repeating a gentle shhhhh sound, it works and is the universal sound of soothing and comfort for your baby. To help promote your babies sleep routine buy the Sleep Sleep Sleep now....baby CD/Download. This CD captures the new sounds that baby now hears. It includes a blend of ambient music accompanied by a resting rhythmic heartbeat and soft soothing Shhhhh sound to relax your baby acting as a natural lullaby. Regular use of the CD acts as a familiar cue which will trigger your babies calming reflexes helping them to fall asleep. Bonding with Baby CD: Spend some special time relaxing and bonding with your baby. Featured in 'I'm Pregnant Magazine' Keep up-to-date with all the latest medical information: Health Watch Page 122. Following birth, bonding is a process of communication which parents and babies are drawn to through touch, vision, hearing and smell. Attachment theory describes babies relationships with parents as a template and it is believed that babies experience of their parenting will shape their long-term emotional wellbeing. Try following these useful tips to help bonding with your baby. Give yourself time to adjust to your new baby and the changes in your life, it is important to remember that bonding is an individual experience. Within minutes of birth your baby will recognise your voice, smell and touch. Your baby is soothed by the sound of your voice, your smell and gentle touch. Babies prefer to look at human faces, they can focus at about 12 inches. Hold your baby in your arms, make eye to eye contact and smile. Eye to eye, face to face contact is how babies communicate with you and it is a vital element of parent baby interaction. Babies our curious about their surroundings, so they may look away. Continue talking smiling and touching, embrace the interaction that is going on. Bonding will develop through everyday care giving. However it is important for you both to have some quiet time to get to know each other. Bonding can sometimes be delayed if mum is experiencing postnatal depression symptoms. If you think you may have postnatal depression seek professional help. To help promote bonding buy the ‘Bonding with Baby’ CD/Download. This exceptional CD was developed and produced with specialist skills and knowledge of postnatal care. The relaxing technique unfolds gently allowing you and your baby to experience some special time at a pace which suites you. The beautiful ambient music and calming gentle voice is a perfect combination to support you and your baby at this special time. The bonding sequence is not only for mums but fathers too. All too often fathers can feel left out, it is important for both parents to have this special connection with their baby. Siblings will also enjoy being part of this. Click the link below and enjoy special time with your baby. Stressed out? Busy schedules, traffic jams, bills to pay, upset with friends, job stress, not enough time in the day, house is a mess; does this sound familiar to you? Quite often an accumulation of minor problems can cause you to feel overwhelmed and stressed out. The long-term effects of stress can affect your physical, emotional and social wellbeing. There are a number of different relaxation techniques and different ways to relax like ‘the breath’ it’s a great stress reducer. Try some of the following tips if you are feeling stressed out. Try to find some time in your day to relax, this could be a walk in the park, a nice hot soothing bath or find somewhere quiet to sit for a few moments to just still your mind. Sit comfortably with your back straight. Put one hand on your stomach, take a deep breath in through your nose and as you do this the hand on your stomach should rise. Now exhale through your mouth, pushing out as much air as you can. As you do this the hand on your stomach should fall. Continue with two more deep breaths, in through your nose and out through your mouth, your lower abdomen should rise and fall with each breath. Three deep breaths are enough to bring calmness. Try this exercise if you are late, in a hurry, stressed and the traffic lights turn red just as you approach. 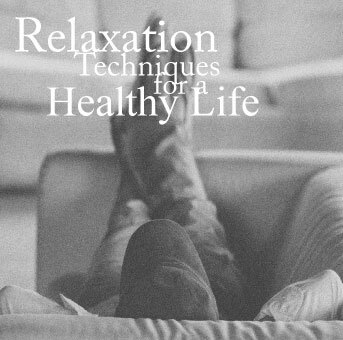 Daily relaxation techniques have been proven to reduce stress. The easiest way to achieve daily relaxation is through guided relaxation techniques. Buy ‘Relaxation Techniques for a Healthy life’ CD/Download. This versatile CD was created with an awareness of how busy your life can be. You can choose from 6 individual tracks that range from 3-25 minutes to meet the needs of your busy schedule. Each of the individual tracks has a combination of music and/or a gentle voice guiding you gently and easily through the techniques. Using any of the techniques on a daily basis will reduce stress and anxiety helping you to achieve a healthier life. Click on the link below to be one step closer to reduce stress in your life. Anna is continually working on new products, keep checking back to see what's new for you.